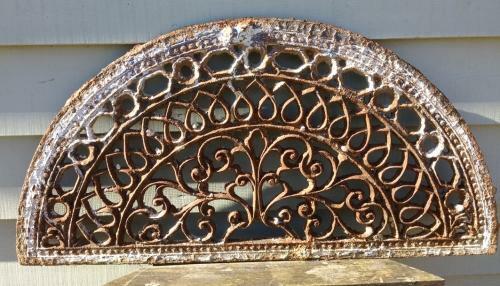 Large semi circular Victorian cast iron grill or drain cover. Could be used flat as the entrance to doorway as a foot scraper or on the wall in house or garden as decorative feature. 3 foot width.